It’s the era of internet revolution and E-commerce was born out of this as a brightest star. 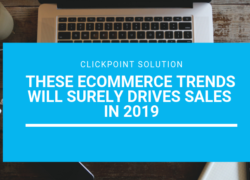 According to statista.com, E-commerce sale is going to surpass 600 billion US dollar in 2019. This figure clearly explains the power of E-commerce industry. With the proliferation of mobile and tablets, E-commerce sale is increased exponentially day by day. But it doesn’t mean that all the E-commerce companies are making profits. The market became so fierce that, it’s a tough job to survive for companies. The small as well as big companies are facing lots of challenges. From website maintenance services to customer service, everything you have to take care of. Below are the major challenges that most of the E-commerce companies face. In E-commerce customers are conscious about the return and refund policy. When products are returned due to any reason like damaged or customer’s dissatisfaction, the business suffers heavy loss on shipment and reputation. Logistic costs have always been an issue for e-commerce players especially for those who deliver for free. Solution: Return and refund are also part of great customer services. So try to build a strong returns policy. Educate your staff about your policy, so that they can assist customers quickly and effectively. Be careful with product shipment, if the address is wrong then it will cost you more. You can minimize the operation cost discussing with your logistic partners and vendors. In E-commerce, the most important thing is to build the customer trust and loyalty otherwise you’ve to struggle. Because it takes so many efforts to make customers and retaining with them for long time. The main reason customers stop doing business with a company is poor customer service. In E-commerce, the credibility of the customer is always questionable because there is no scope of knowing a customer except the entered information. When it is a Cash-on -Delivery (COD), there is a chance of huge revenue loss because the business is unsure whether the customer is genuine or not. Solution: These things can be avoided by generating an automated call or Interactive Voice Response (IVR) and asking him/her to validate the delivery address especially when it is a Cash-on-Delivery (COD). This would not send any wrong message to the customers that they are being doubted but it would save you from unwanted loss. This thing happens when your manufacturer or retailor start selling products to customers directly. Now E-commerce became a low barrier to entry. So the same company that sells your products or from whom you buy in block may also be your competitor and it is happening. Solution: It is not completely possible to stop manufacturers or retailers to sell products to customers directly. So you should offer the product at less price with added benefits otherwise you should buy from those manufactures who are less likely to sell directly to customers. 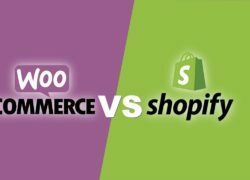 In E-commerce industry, the concerns should not be unnoticed, it compromises the standard of quality of your business, and dents your brand image and reputation. Solution: With proper ticketing solutions and prioritization to tickets, you can somehow handle customer issues. Make sure high priority tickets are handled before anything else. A customer experiences customer support system, order management system, dispatch system, order of tracking system etc. across the buying journey. If one of these system fails, it could ruin the customer experience. Solution: Integrate and synchronize these multiple systems seamlessly and display all available information across all systems in a single interface.